and the driving force for moving us towards the future. Since our company was established in January 1987, we have been intending to be a creative enterprise that can speedily correspond to the epoch trend with the pioneering spirit that never yields to any difficulties. 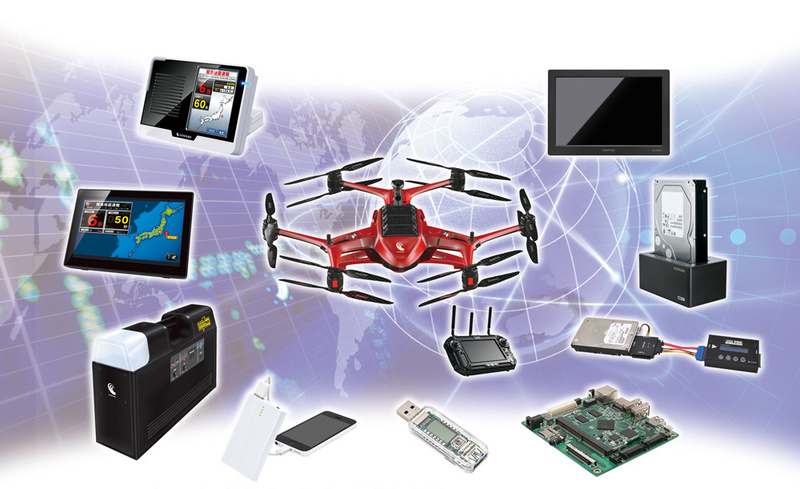 Our current scope of business includes a series of disaster prevention equipments such as advanced Earthquake early warning systems (EEW), Lithium power storage devices, Earthquake vibration sensing breakers, and now Multi-function drone for disaster relief, designed circuit boards to game maker companies, all kinds of computer/mobile devices, even portable Sterilization deodorant machines and hobby-related products ... etc. "Development department" utilizes the technology of electrical circuit design from upstream to downstream. "Trading Department" makes our territory not only limited to domestic but also expand to Southeast Asia and Western countries worldwide. "Retail department" functions as an antenna which collects the voices from the valuable consumers. All these three divisions together create a solid foundation for our business. We will continue our company spirit of the time when it was established and always self-reproof about the social responsibility to protect human life, life style, property, the infrastructure of the country and contribute to society at the same time! Our all employees, the company and the interested parties will contain the same goal to continue challenging to the future for social prosperity! Copyright (C) 2019 Century Corporation All rights reserved.